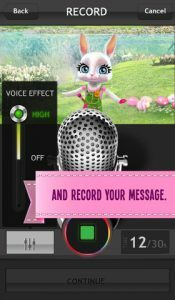 Zoobe Cam is an iPhone app developed by Zoobe Message Entertainment, which allows you to “say it with character.” Take a photo, record your audio message, and an individualized fully-animated character will deliver a video message for you. 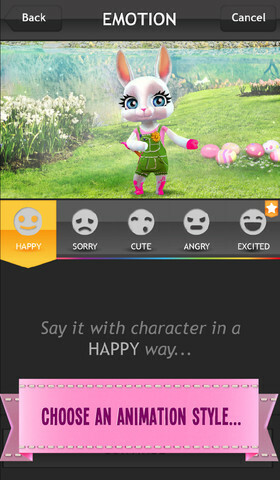 The process of creating your unique greeting is fairly straightforward. 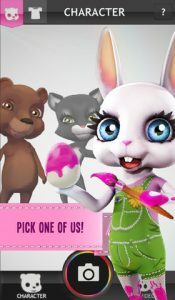 First, you pick an animated character: the bear, the bunny, or the cat. After making the selection of character, you can adorn your animal messenger in various cute costumes. After that, you can record your message and take a background image with your camera. You can use your own voice, or have the recording pitched up or down for comedic effect. When your animated message is done, you can send it by email and text message, or share it on Facebook and YouTube. Messages can be saved for viewing at a future date as well. One thing I disliked about this app is the fact that when you get to the final preview screen, your options for editing are quite limited. 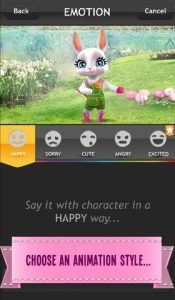 I hit the back button, wanting to make a small change to my greeting, only to find out that hitting back would force me to start over from the beginning: annoying, to say the least. 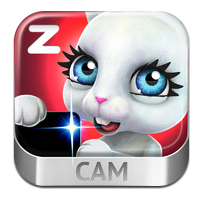 Zoobe Cam is the sort of app that will most likely appeal to kids and seniors. 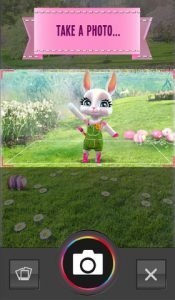 The animal animations are really well done, but ultimately this is a silly app. That’s not a bad thing: it’s good to be silly from time to time! Want to see the app in action? Check out this official video! Zoobe Camis compatible with iPhone 3GS, iPhone 4, iPhone 4S, iPhone 5, iPod touch (3rd generation), iPod touch (4th generation), iPod touch (5th generation) and iPad. Requires iOS 5.0 or later. This app is optimized for iPhone 5.